I said I was looking forward to missing the cats here whilst away .. and I did! Oddly enough it put me in mind of people who give up smoking and say part of the problem is just not knowing what to do with their hands if they don’t have a cigarette. What DO you do if there aren’t any ears to scratch or toys to wave? and when you don’t have to protect your food / drink / keyboard / pen from being messed around with? Jess our cat sitter was really good at keeping in touch. I think she pitched it just about right. If there’s too little communication its easy to worry what’s happening, too much communication and it doesn’t feel like a break. I loved that each message started with “all is well” or some variation on that theme, so I could enjoy reading the message without worrying. There were a few messages just checking out the best way to do something which gave the reassurance that things were getting done and she was thinking about and caring about what she was doing. Most messages were just day to day sort of updates about what the cats were up to. I loved them! They were so obviously from someone who was taking her time with the cats and making a point of getting to know them. About Honey grooming Flipper, and Flipper barging in on a snuggle session with Honey. About Henderson and methods for giving him his thyroid tablets. 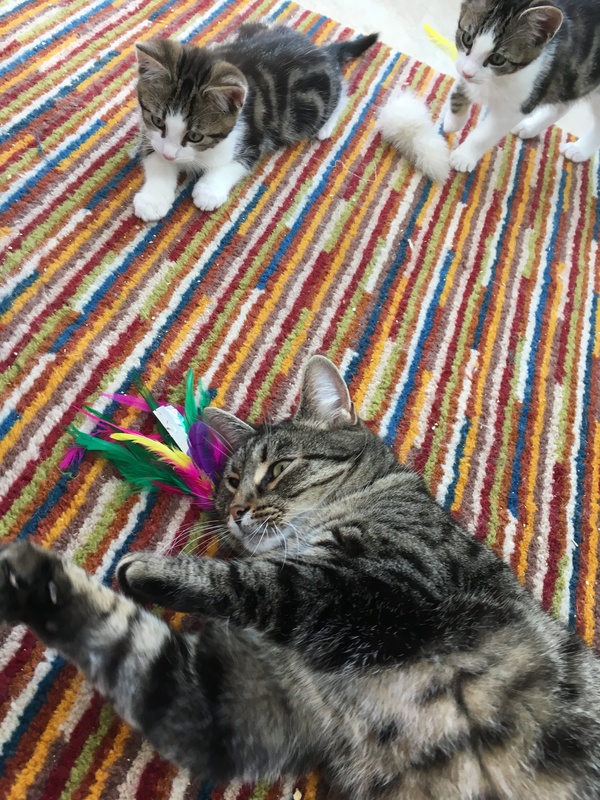 About Amber and her wariness of strangers, and of course the crazy kittens and their antics. We heard about who had been sick … its strange what you miss when you’re away from home. And who had stolen a packet of treats and ripped the plastic packet all over the floor (no mystery who that was … Flipper!). 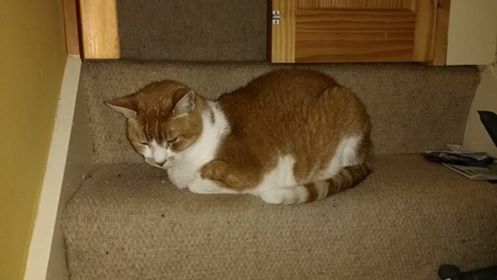 Jango had staged a battle with his usual opening tactic … sitting on the stairs and not allowing anyone past. Well done for managing that one Jess! it takes a brave and gentle soul to diffuse that situation. What made me giggle was the little Fs. Much as I’d tried to plan things around the holiday it was only after I’d booked Felix & Fritz in for their first vaccination that I realised their second would be due while I was away. Aunty Jenny volunteered to come over and take them for that. They were very timid at that point so I wondered how she’d manage with catching them. 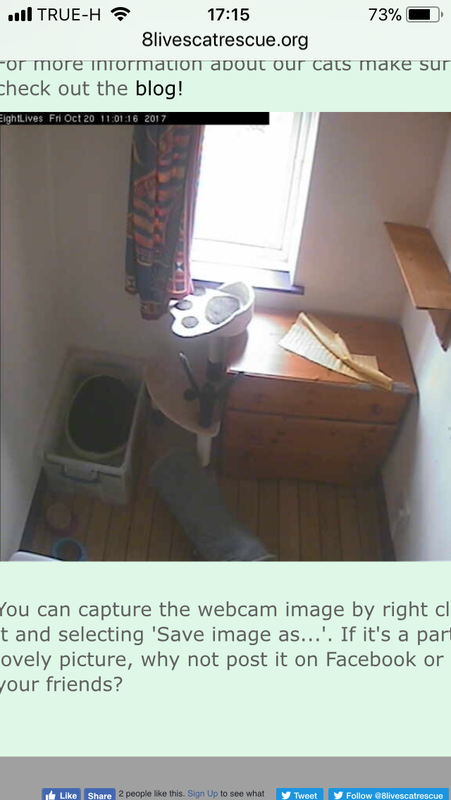 I logged into kitty cam at some point and their bed was on the floor and the cat carrier gone. It doesn’t take much imagination to picture the scuffle in the scenario. Sadly (and perhaps just a little happily) the day came to return home. Another long long flight in the direction of multiple breakfasts, a stressy drive home over the snake in quite thick fog and we were back! Jet lagged and exhausted we prepared ourselves for the mess that would await us. …… and ……….. well …. it wasn’t there! No dirty dishes in the sink, no grubby litter trays … not even the ever present carpet of cat litter on the floor. Just a collection of happy cats waiting for cuddles and to help unpack. I’ve always been fortunate to have cats who are pleased to see me come home rather than ones who sulk that I’ve been away. Not sure who I thought would be first on my lap for a cuddle (I kind of hoped it would be Jango no no no I didn’t say that …. I don’t have favourites) but wasn’t quite expecting it to be Flipper. She makes out she’s big and tough most of the time. Rufus thought about fighting her for first place but then opted to exchanging scents with his penfriend Mr T on the suitcase. Honey and Henderson piled on for hugs. Amber waved shyly from a distance. 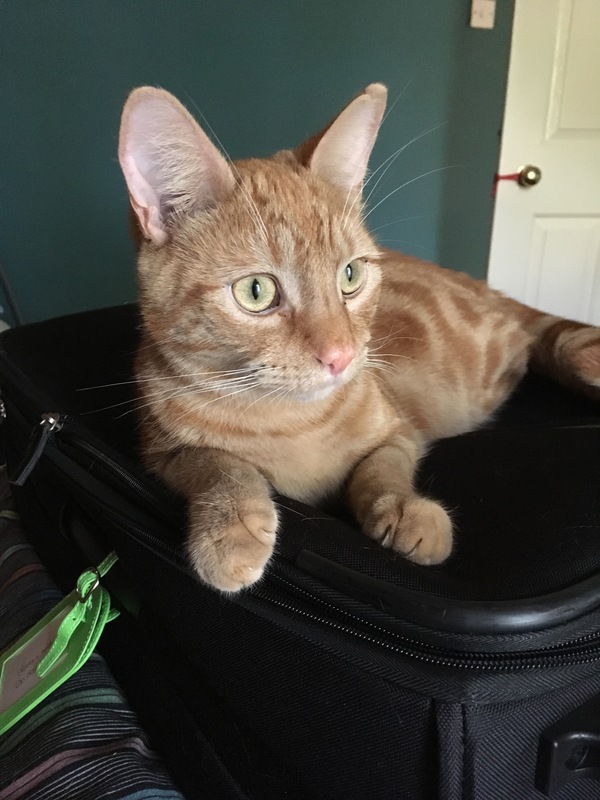 Jango firmly planted himself on top of the case and announced that the human would not be going anyway again for a long time. So that’s been 208 litter trays de-lumped; 130 bowls of water changed, and 130 packets of cat food opened, 26 tablets administered and 1 litter tray washed out due to a ‘pebble-dashing’ incident…. Phew! I’m sure I’m not the only person who has complicated feelings about holidays. On a superficial level of course we think of them as whole heartedly positive; they’re the cure for feeling tired, fed up, stressed, and conjure images of sunshine, relaxation and fun. They also occasion chasing around tying ends up at work, preparation and packing, airport car parking options and a mild obsession regarding the whereabouts of one’s passport. We stockpiled so much cat food it will keep us going until Xmas, sent poor Jess our cat sitter so many notes she must have rued the day she met us, and labelled half the house showing where there was spare bedding, litter trays, medication, batteries for the cat flap. Finally the day came. Did the short hop from Manchester to Zurich and got reassuring message from Jess saying she there for first visit. Then the long joint aching flight to Singapore. Arrived shattered and all movied-out … there’s time to watch at least 5 films. So lovely to be met by my friend at the other end and go home with her. Her feline residents are the purrfect hosts. Mr T met me at the door and checked over my luggage. 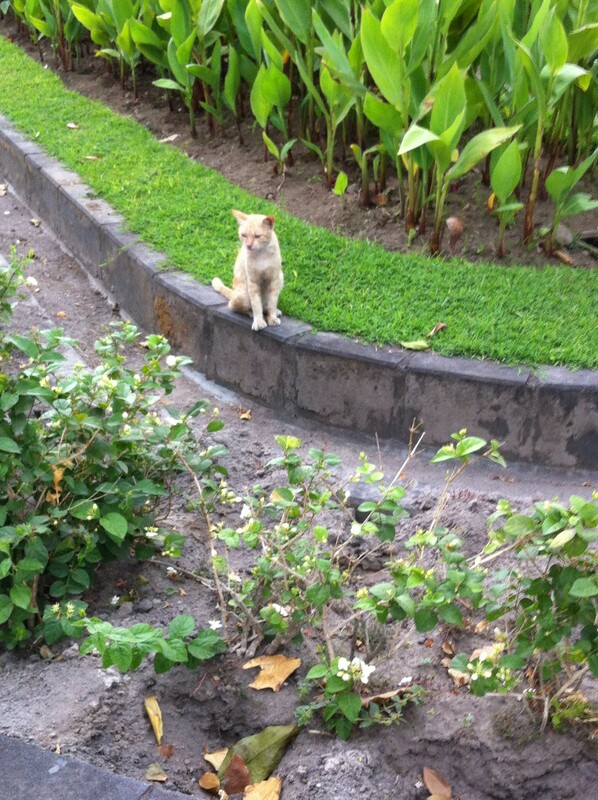 Oddly enough I don’t think we saw any other cats during the time in Singapore, though spotted several once in Bangkok. These guys were hanging out near the flower market and looked like they’d dropped lucky with finding someone to care for them. 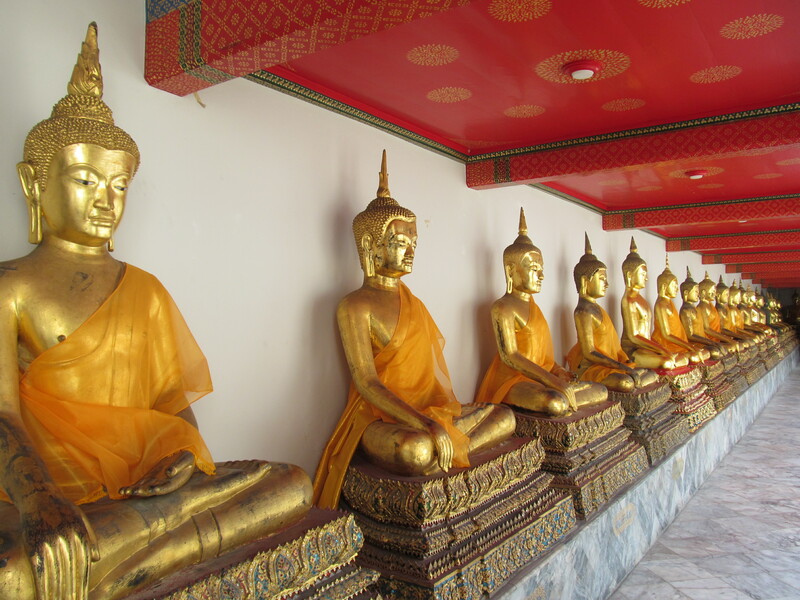 While these has opted for a more spiritual life at Wat Pho. However a rather more earthly drama seemed to unfold as what I assume to be mum assertively discussed the lack of child support payments from dad and explained in very plain language that there would be no more children until he’d got his act together. The photo I was disappointed to miss was the puss who moments ago walked along this row of Buddhas and stopped to sharpen his claws on one of the pedestals. No disrespect intended towards the Buddha …. I just love the way cats have no sense of what is significant to us and do their own thing regardless. These guys demonstrated another way of getting by, living close to a small street market. There were several more cats hanging around. No one seemed to making a great fuss of them, but no one pushing them away either. It made me go to google to try to find out more about cats in Thailand and what the situation is with rescue there. 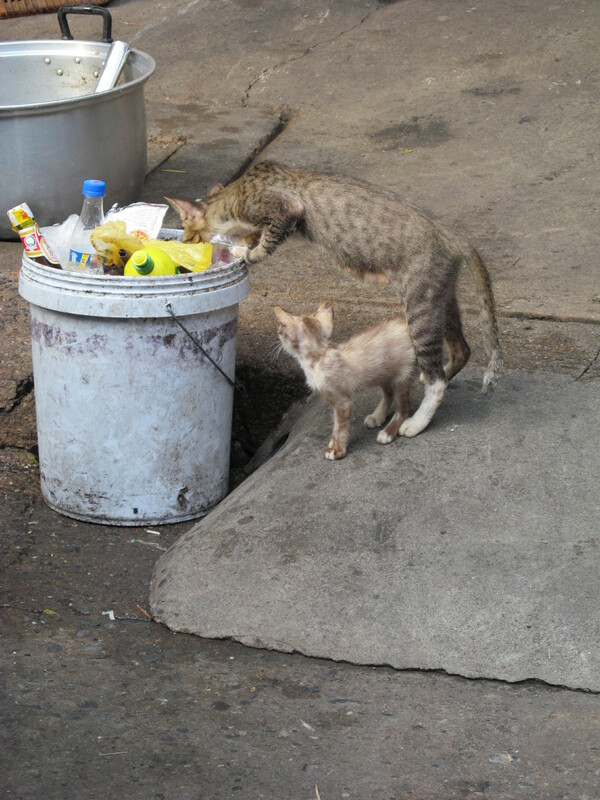 I was interested to read a comment that said that whilst in many countries the stray cats and dogs would be rounded up and if not claimed or adopted would be euthanased, the Buddhist culture in Thailand forbids killing of any living creature, so they’re left to roam and breed. It’s between a rock and a hard place I guess. Sobering to think that however tough rescue is here it’s nothing compared to what rescues in some other countries face. Yay! In spite of all the odds we’ve had a holiday! Those of you who have known us for a while will know that we are blessed to have friends in Singapore whom we visit every year or two. We booked a flight back in June this year for October and then every twist and turn has threatened to scupper it. It’s painful now to think back on some of the causes of our anxiety. The first concern was little Sparkle who arrived days after we booked. So vulnerable and needy. Deep down I think I knew she wouldn’t still be with us in October but at the same time we still stressed about who would care for her and how we could manage things when she was needing round the clock care. What we missed in the turmoil of caring for Spark was an outbreak of tummy upsets. I think it probably came in through her and her siblings as it affected both the upstairs cats (where her siblings were) and the downstairs ones (where we were caring for Sparkle). At the height of it we were barrier nursing 4 different groups of cats, hand washing, clothes changing, disinfecting +++++ between every contact with every cat. 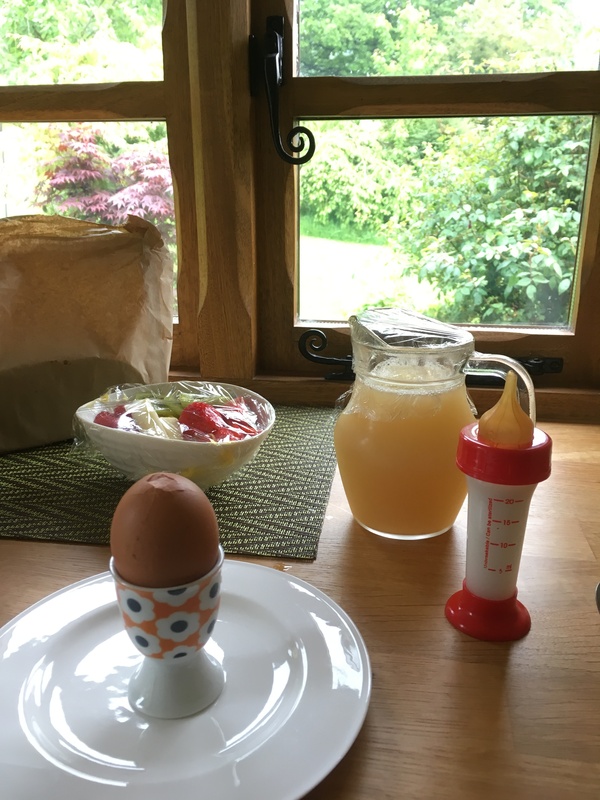 My eczema still hasn’t quite got over it 😦 It persisted for weeks and weeks despite worming, probiotics, special diets, poo samples, antibiotics, blood samples – the works! No way could we ask any cat sitter to deal with it and I could see the holiday being cancelled. Finally it started to resolve though Karis, Charlie and Henderson were still affected. Thankfully Karis and Charlie found lovely adoptive parents who are helping them through this. Henderson is still here of course as he’s a purrmanent resident. 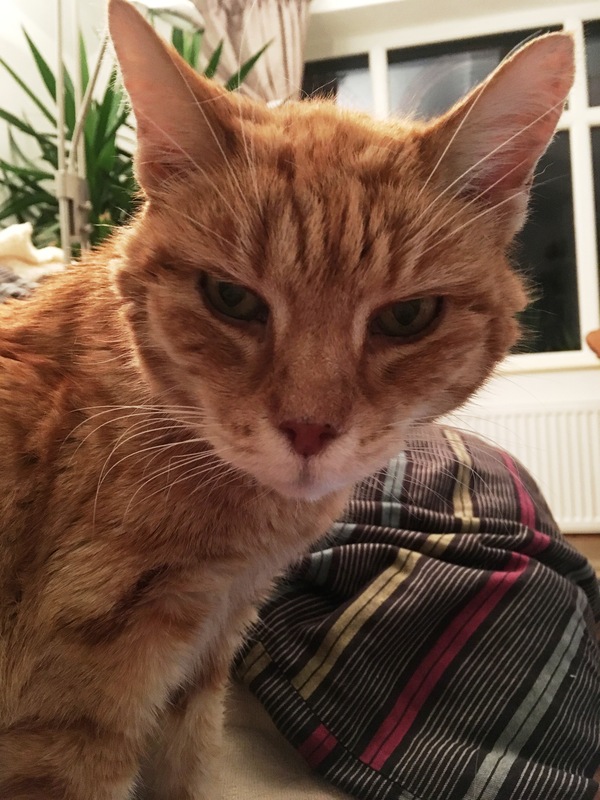 His thyroid issues have been up and down making me anxious about leaving him … right up to a blood test result arriving the day before I left. Then our regular cat sitter said she’d not been well and was reducing her work and we had to find someone else. We were so lucky with this. Just as we heard she wouldn’t be able to do it, a friend announced her new business . We know Jess through local community stuff and through her incredible work with Cinnamon Trust. She took on walking a dog for an elderly person locally a few years ago. We got involved in a small way when the dog developed health issues and needed twice a day injections and then other medications. Jess recruited volunteers and organised a rota of people to help him and kept everyone up to date with exactly what he needed. It was an administrative feat and a labour of love. She was clearly the person to manage the rabble of cats we had here!! We’d absolutely and wholeheartedly recommend this woman. She arrived with her forms and had made plenty of time to make sure she had all the relevant info about them. She spent time getting to know them. 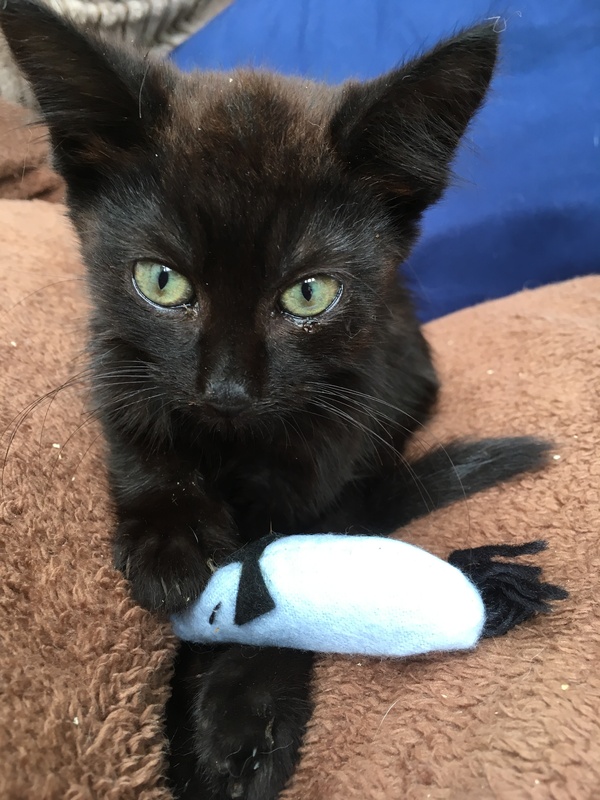 She accepted our weakness when we said we wouldn’t take in any more cats before going away, and then caved in and took Relish … and then Raffles. She came over again and took up to date info just prior to our leaving. In the end we left her with 6 purrmanent residents: 0ne of whom had a tummy upset and was on twice a day meds, another is semi feral, another is elderly but fancies himself as a guard cat and in his time has pinned workmen against the wall. Two very timid kittens who needed ongoing support with being socialised, and two older kittens who are adorable but just little bit crazy. Back in Singapore again we did a few things that weren’t cat related and then headed off for the Cat Museum we’d seen advertised at Cat Socrates. 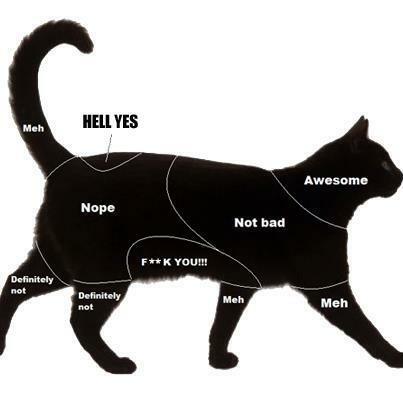 Hard to imagine that there are people out there who haven’t really encountered cats before and need to be told. 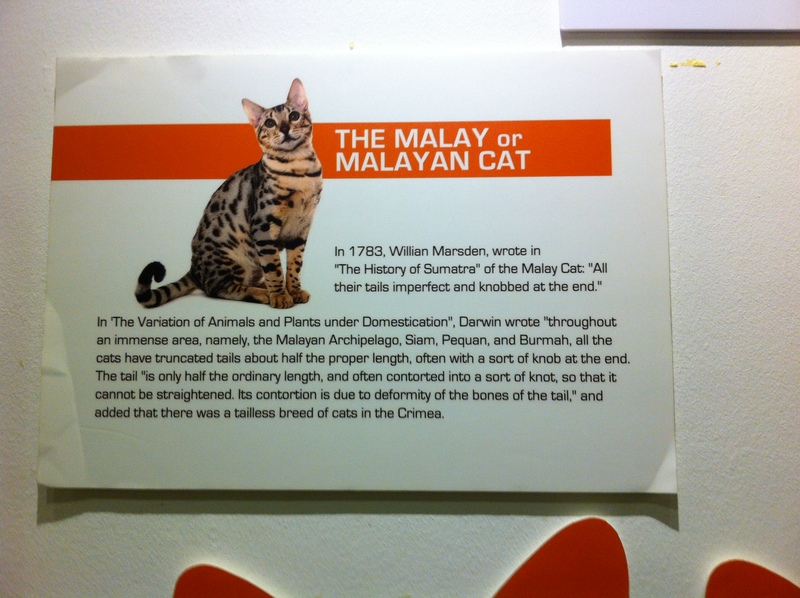 However, if most cats in Singapore are indoor ones, and some families just don’t have them …. One of my earliest memories … age 2-3 I guess … was being warned about how (and how not!) to stroke my grandmother’s cat. They had some very interesting cats, and lots of utterly adorable ones available for adoption. Couldn’t help but be a little envious of the amount of space they had, in a prime location. 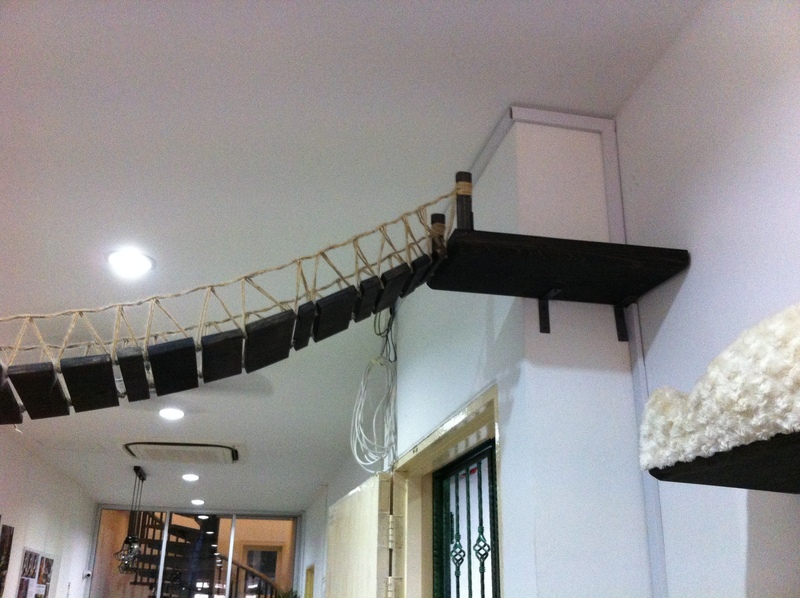 And of this superb suspension bridge. Having happily reacquainted ourselves with our furry Singapore friends, we set out on our travels. First stop was Joo Chiat, which I’d mistakenly heard in French as “du chat”, and a lovely little shop called Cat Socrates. I assumed it was Socrates himself who welcomed us to the store … he was very professional and business like as he greeted us at the door and proceeded to show us around the shop. However it seems that his name is Zoo_Zoo and he’s only one half of the operation. We didn’t spot his colleague … maybe they job share. I do like his tie though. I wish now that I’d got one for our Sooty. 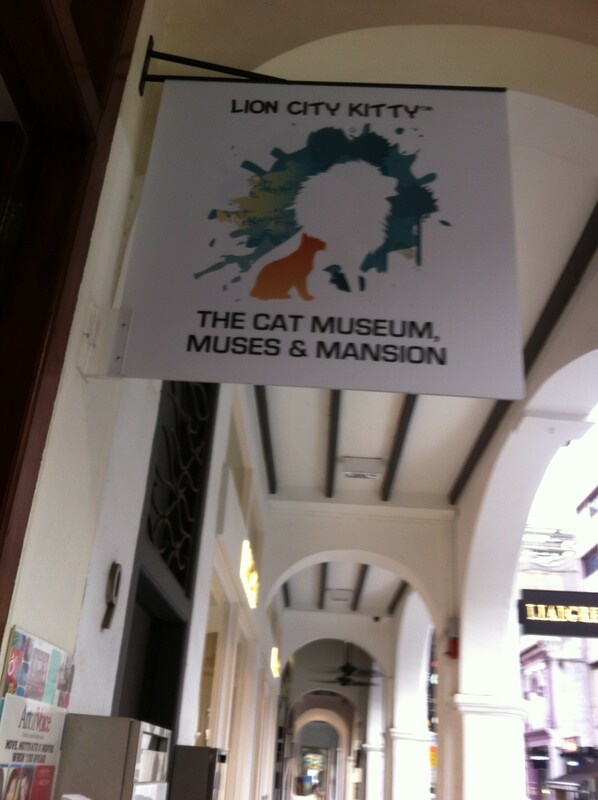 It was here that we picked up some info about a cat museum in the centre of town …. but more of that later. A few days on and we were airborne again and off to Java to see the delights of Yogyakarta. 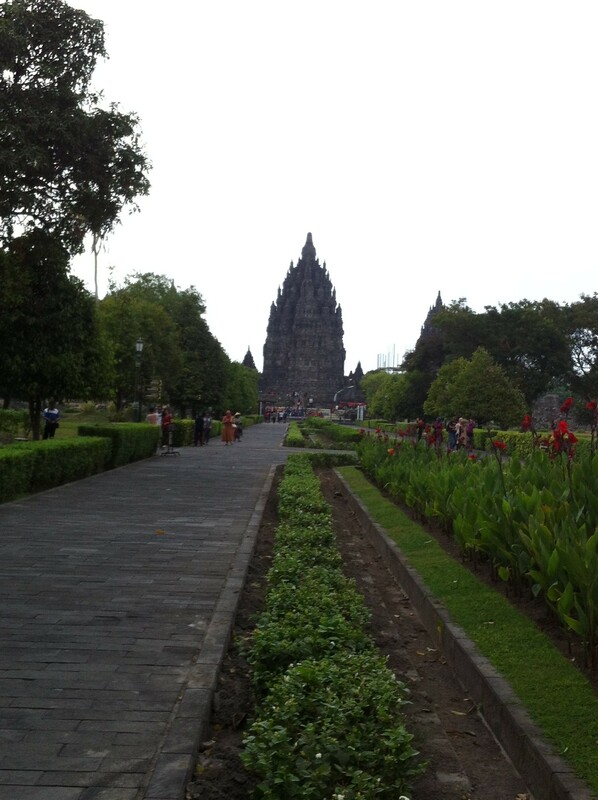 En route to the marvels of Borobudur we stopped at a stunning restaurant for lunch. He may well have been more aware of the storm that was about to break 2 minutes later. You might have noticed it’s been quiet around here for a couple of weeks. That’s because we’ve been away visiting our friends in Singapore. Both as gorgeous as ever though lovely to see that she has grown so much in confidence, whilst he … well his legs have growed and growed … he must be one of the tallest cats I’ve ever met 😉 They’re very lucky kitties to have been rescued by SPCA and have found such a lovely furever home. One of the first holiday activities was to go with this young lady and her adoptive parents to see a specialist vet about her eye condition. 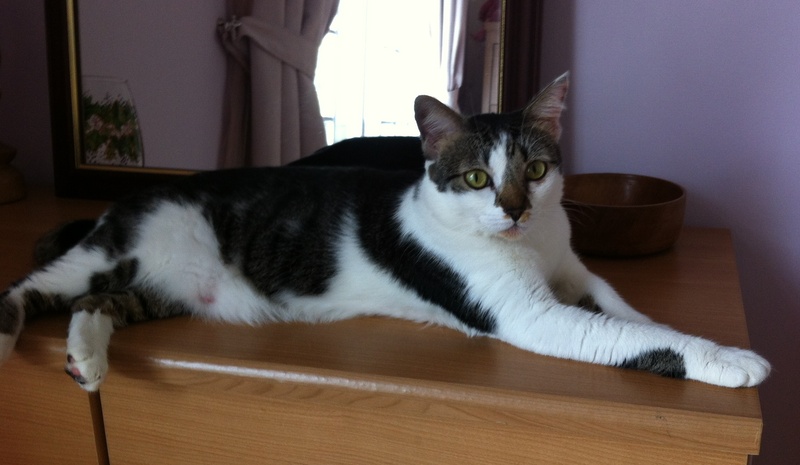 She’d had cat flu when she came into rescue, and it left her with a sore and runny eye. She’d waited a while to get her appointment so didn’t want to miss it, but was concerned it was a bit of a buswoman’s holiday for me. Not at all! Fascinated to visit the vets thousands of miles from home where things are so different whilst also so much the same. Similar displays of quality dry food for sale, and posters about pet health. Very similar looking scenarios of families clustered round loved pets in waiting room. It could have been our usual weekly vet run had it not been a cool 30C and most of the faces Chinese. Much of day to day life with cats in Singapore seems pretty much as it is here. Eat, sleep, litter tray, play. Some things though are quite different: there’s no snuggling up infront of the fire or draping your fur over the radiator, and somehow sprawling in front of the aircon isn’t as attractive. However the in house entertainment is more fun – with lizards racing across the ceiling/walls. When it comes to food and drink most of the same foods are available, however mosquitoes and ants and heat come into the equation. Still water is a breeding ground for mozzies, so water fountains are safer. Ants are quick to sniff out any food left lying around (whether that be cat or human food), so the amount of time that food is left out has to be limited. There appears to be more emphasis on keeping cats indoors than there is in the UK … one rescue describing allowing them outdoors as “a death sentence”. These two live in a pretty safe contained area so are allowed out to explore for brief periods. They’re kept in on certain days when “fogging” is scheduled … that’s when people come round and spray the area with chemicals to deal with the mosquitoes. It’s a necessary exercise but not something you’d want on your cat’s lungs. Another consideration has to be what wildlife might be lurking in the bushes – there is potential for them to drag something much worse than a half dead mouse home with them. 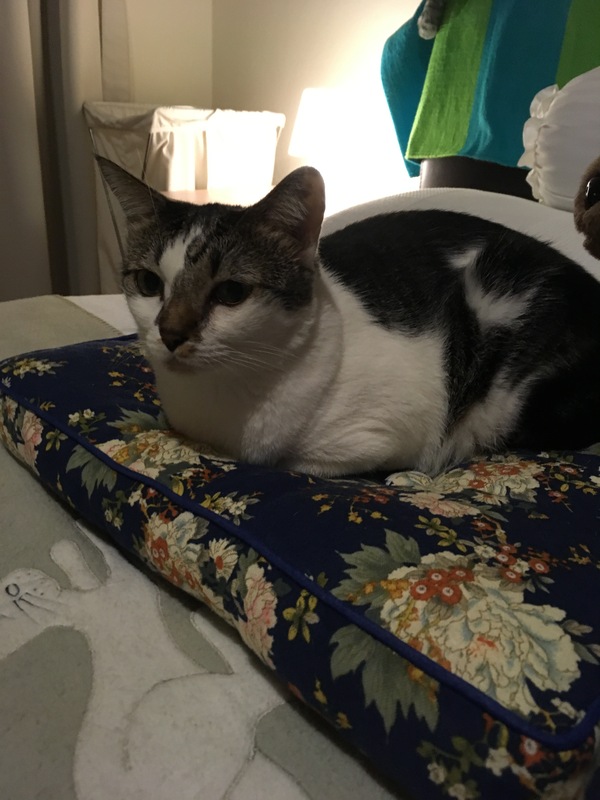 The other different thing you might be interested to know about Singapore moggies is that it’s typical for them to have a knot in their tail. I got the impression that the knot made them less attractive in terms of adoption … however I was on holiday as opposed to doing any serious research so I could well be wrong. 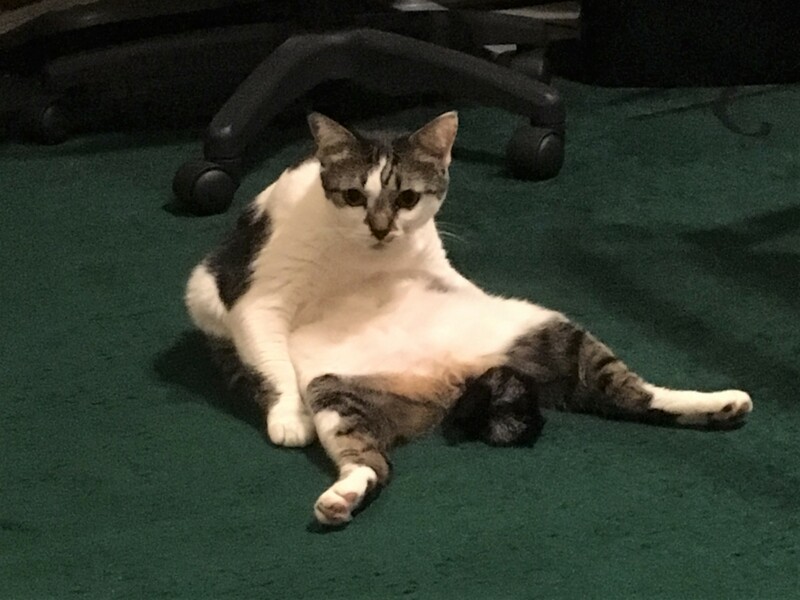 My subjective experience is that it looks cute, and makes them who they are … however the natural (for me) stroke of head start .. down the neck … along the body … and up the tail is a little thrown by the knot. My human Singapore friends (who have previously been used to UK kitties) assure me that you simply get used to k/not doing this manoeuvre.